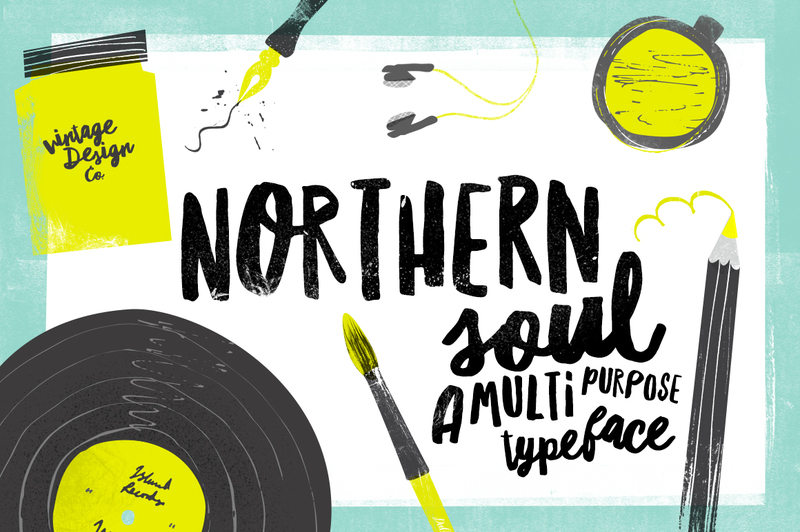 Northern Soul is an artwork hand lettered typeface created and published by Ian Barnard (@ianbarnard), a hand letterer from East Sussex, UK. Featuring two style, caps and script with fine alternates, Northern Soul is a real hand brushed font (watch Ian drawing the Northern Soul font) versatile enough to be used in any personal or commercial projects. Expose you Northern Soul! A font description published on Tuesday, November 24th, 2015 in Fonts, Ian Barnard by Andrei that has 6,828 views.